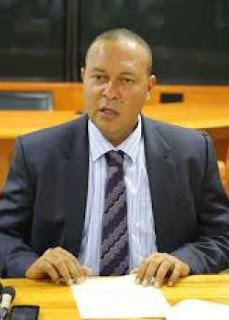 Papua New Guinea member for Wau/Bulolo and Parliamentary leader of PANGU party Sam Basil has announced PANGU’s candidates for the 10 Morobe seats. Basil, who is also deputy opposition leader, said Pangu had the numbers and was confident of forming the next government. Under the Pangu Party banner, Party Leader Sam Basil will contest Wau/Bulolo open, Kennedy Wenge for Nawaeb open, Dr Kopi Bomario for Tewai/Siasi, Jason Peter for Huon Gulf, Koni Iguan for Markham open, Rembo Paikato for Finschhafen open, Haring Koreta for Kabwum and Gilson Saunu for Morobe Regional. “Our party has been criticised for our choice of candidates, but we have chosen them based on statistics of population support,” he said. Basil said those who finished at the top in the previous elections were endorsed by Pangu Party. “If our candidates have done that well in the last election, then Pangu will give them the platform and the policies to campaign on,” he said. Basil said the party has recognised the qualities that supports the party’s policies in the candidates, and based on that gave the candidates a Pangu ticket. He said Morobe Province is a resource rich province, adding that it was time for Morobe leaders to lead the nation. “Morobe leaders do not know how to correlate and co-operate with each other,” Basil said. He also challenged the people to vote for policies rather than for the leaders. “If a party leader comes and stands before during campaign time, you have to question him or her on their party’s policies,” Basil said. He said it was important for the people to support political parties that had policies that could guide their development agenda setting. “We have 314 LLG areas in 89 districts in our 22 provinces. The standard population for every district should not be over 30,000 people, but all our districts have exceeded that,” Basil said. He said the challenge was on the leaders to deliver to his or her people in the rural areas. “There is no guidebook that tells an MP how to work every day so that is why we need to support parties with practical policies so that the policy can guide the MP,” he said.